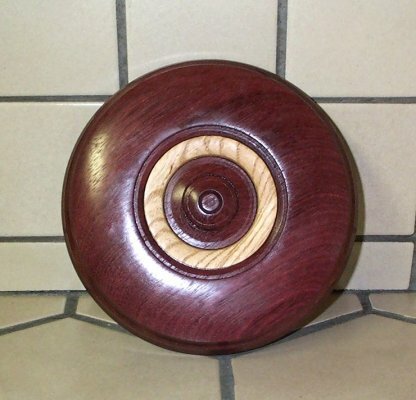 As mentioned, my friend, David, got me interested in "turning." It is both fun and relaxing. 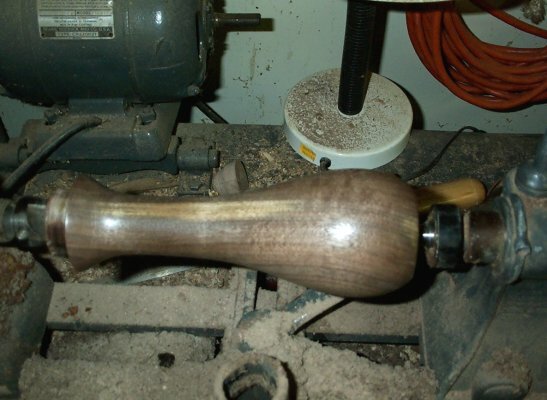 Part of the enjoyment is being able to use wood from various sources -- including some from my firewood stack -- and seeing how the grain patterns develop when finished. 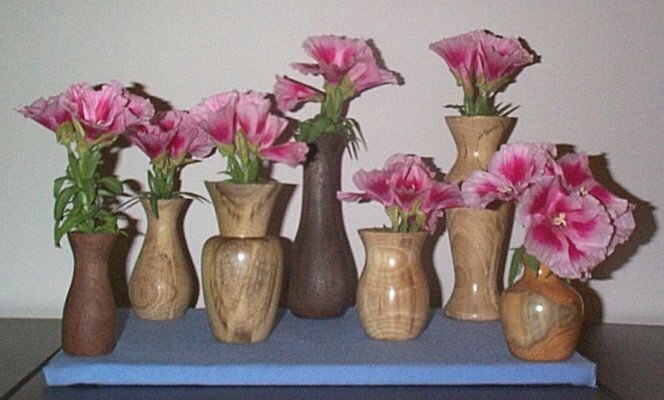 So far, my only output has been an assortment of vases, some of which are pictured below. 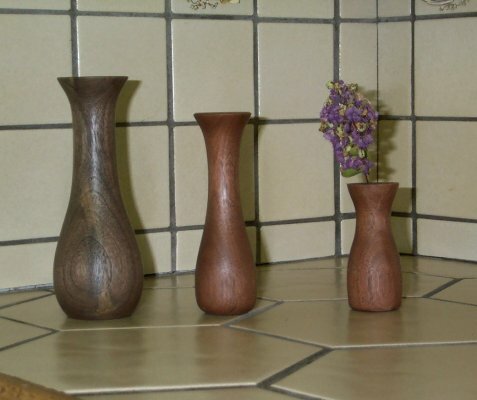 These are the finished products so far -- an interesting assortment of woods and shapes. 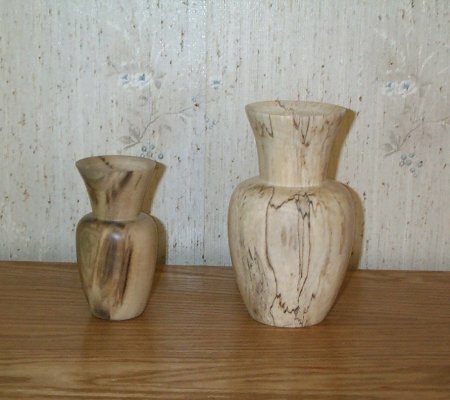 The small one is myrtle wood. The larger one came from my firewood pile. 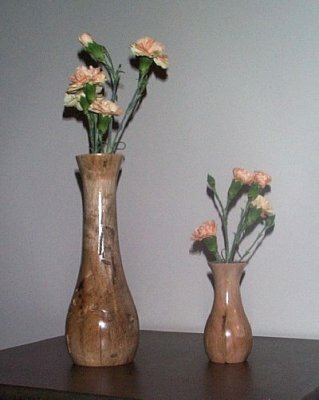 It is water oak which has begun the decaying process. 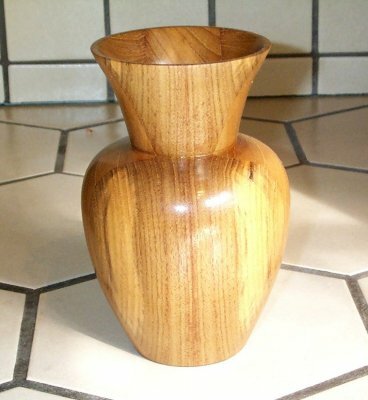 <-- This little bud vase is from a piece of scrap oak. 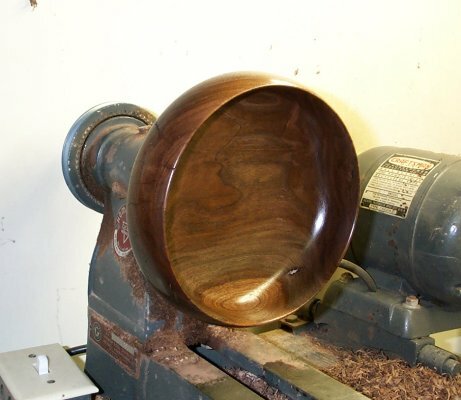 The walnut piece on the left shows how the grain patterns develop. 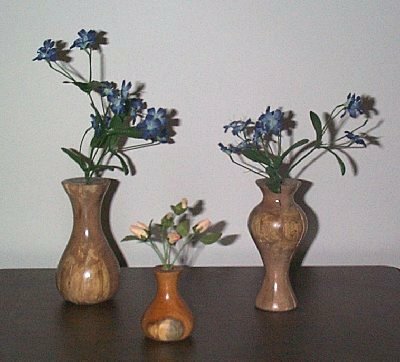 It is the larger one on the left along with two smaller walnut pieces. 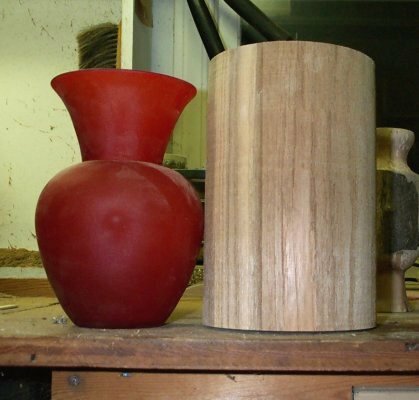 On the left is a piece of wild cherry which I rescued from the firewood pile. 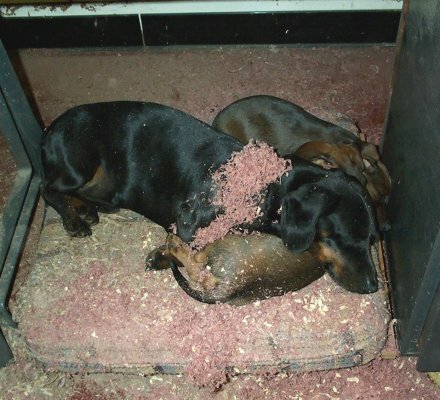 Right now it is curing in a box of sawdust. 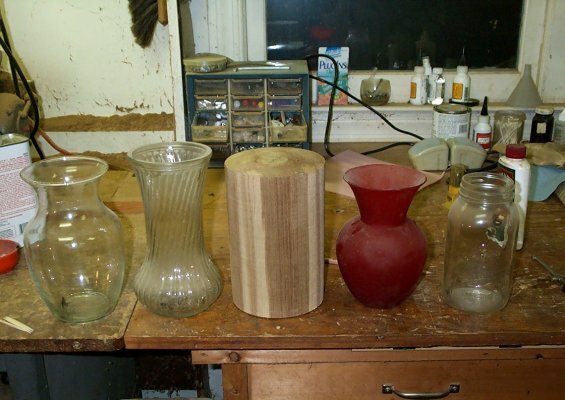 The glass vase on the right will probably be the model for its completion. 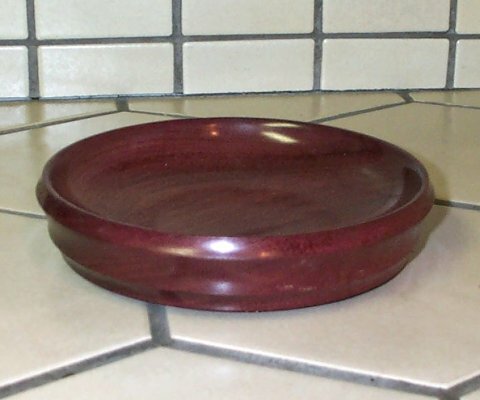 Not exactly sure what this is called -- decorative plate is what I call it. 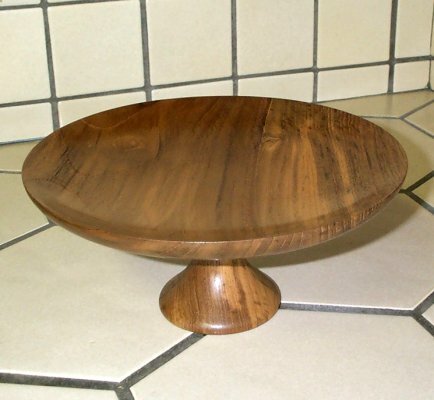 It is about ten inches diameter, made from teak (same as salad bowls) and has some beautiful grain patterns. 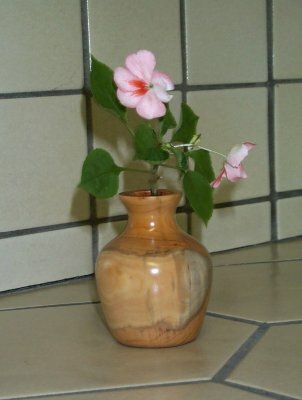 This little bud vase is from a dead dogwood I found at Tony's place. 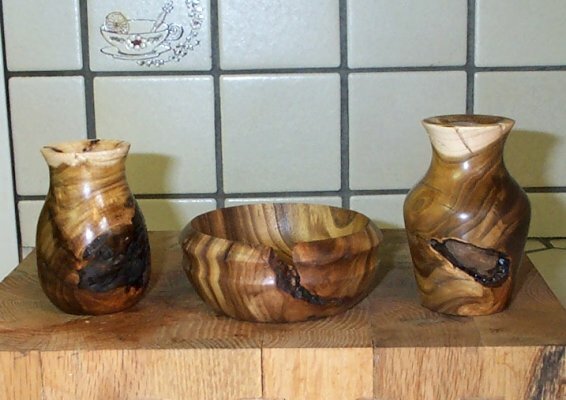 The pieces on the right were made from a piece of apple wood that David gave. The knots and cracks add character and beauty. 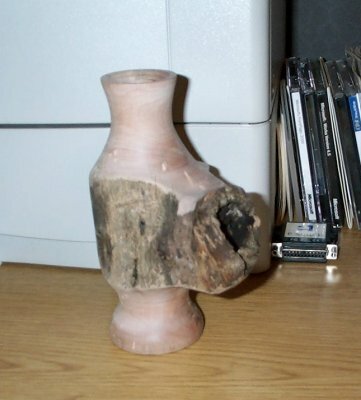 This strange looking vase is from a dogwood tree in my back lot. 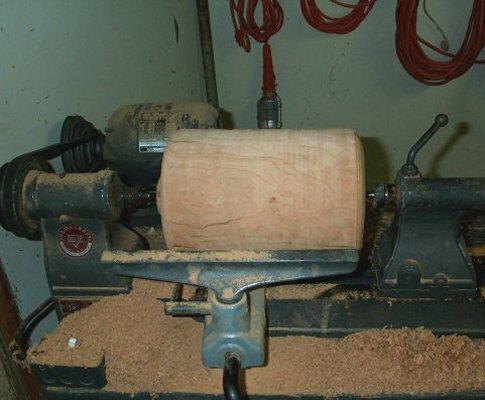 Turning it was kinda interesting and challenging. 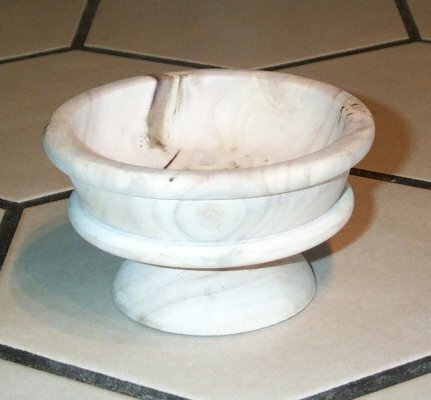 It did make a very pretty little bowl. 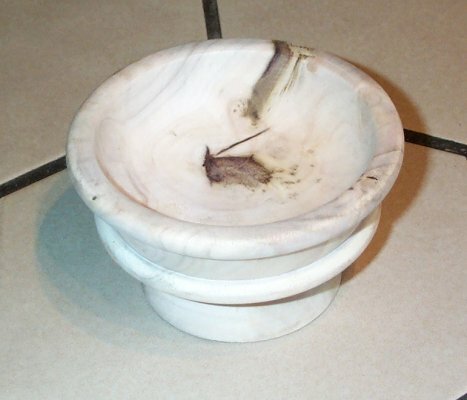 The picture on the left is the bottom of the bowl. 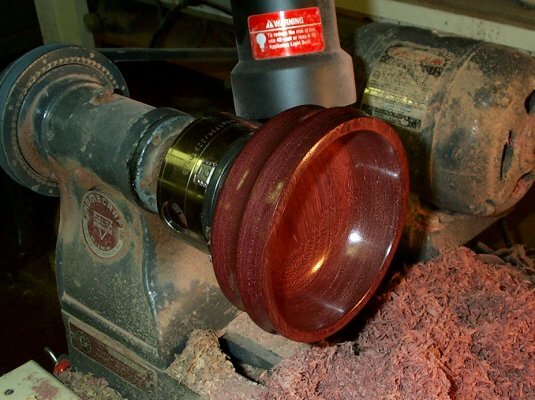 <-- The purpleheart shavings look good on Baron. 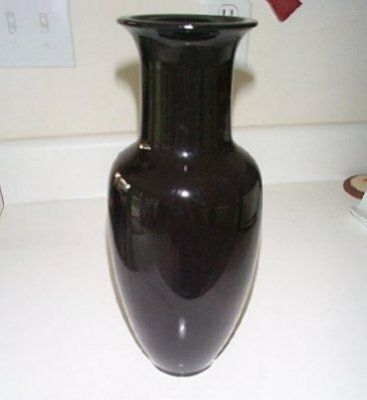 Decided to make it like the red vase. 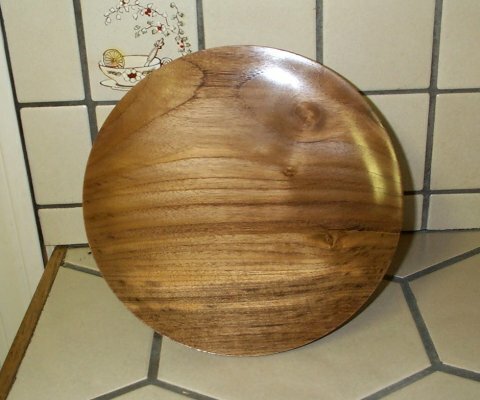 It came out pretty good and the grain patterns are pretty. 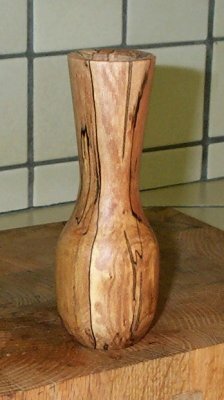 Tony had an old stump in his front yard. 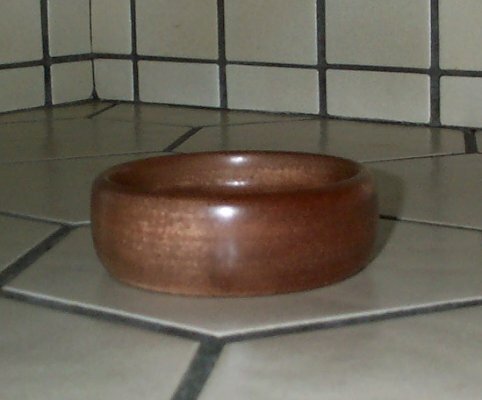 We took it out, and I made him this little bowl from a piece of it. It isn't finished yet, so don't know what coloration it will take on when done. 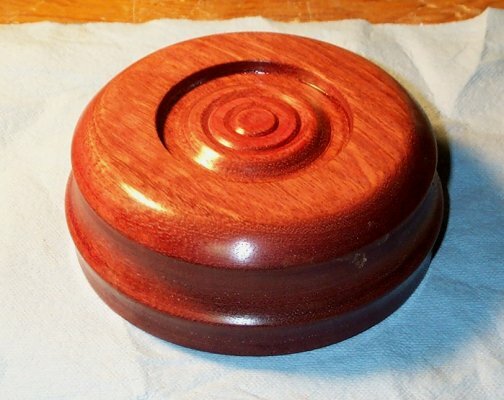 Another purpleheart bowl with an inset on the bottom for decorative contrast. 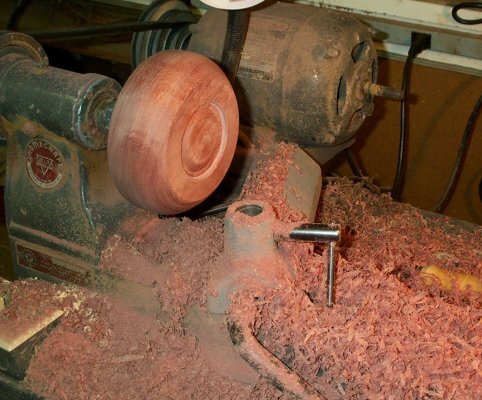 It is beautiful wood, but so hard to work.